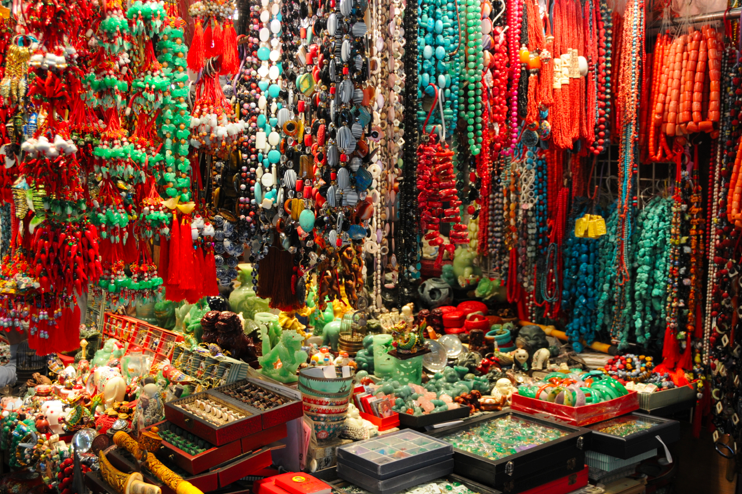 At the Jade Market in Mong Kok, Kowloon, hawkers sell various shades and qualities of the precious stone. To the Chinese, jade has a spiritual value for warding off evil. Stones carved into different shapes can represent wealth (deer), good fortune (tiger) and power (dragon). 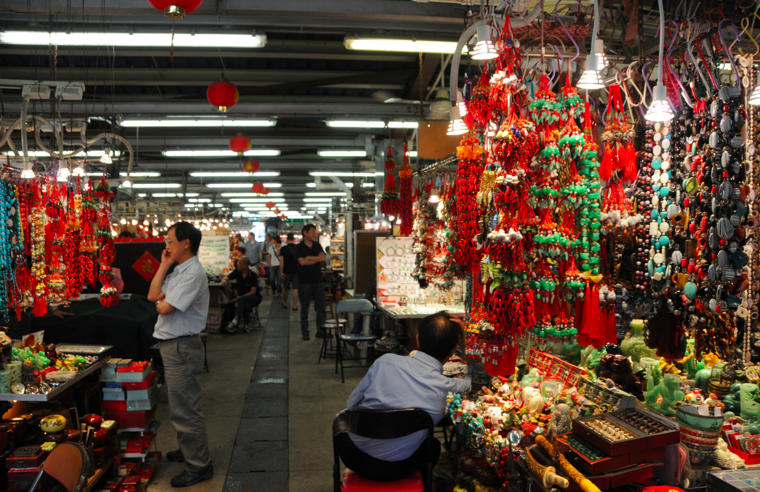 The market is open from 10am to 3.30pm, every day. 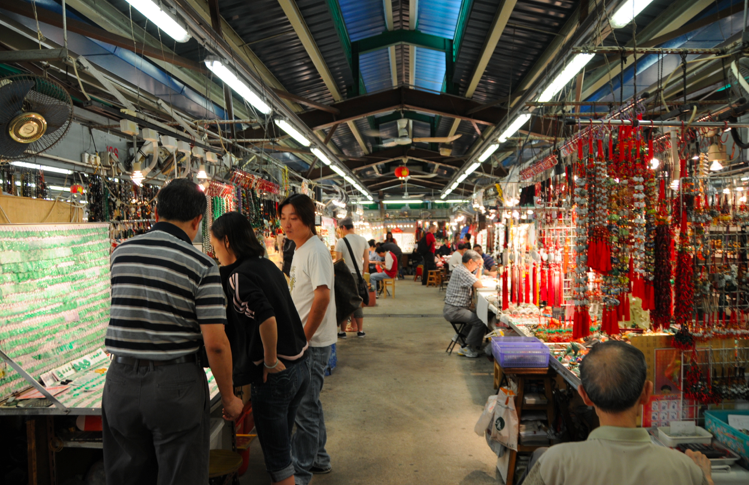 Morning is the best time to visit the jade market. When we went, it was early afternoon and some shops had already closed for the day. Transportation: MTR Yau Ma Tei Station Exit C, walk along Nathan Road, in the direction of Jordon. When you have reached Kansu Street, do a right turn.